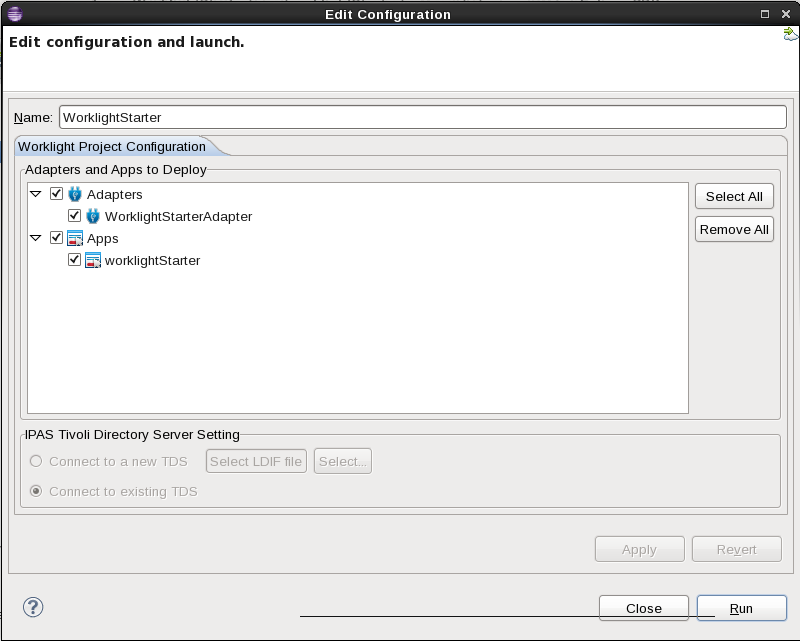 In this article I will explain how to configure the Worklight Developer Edition plugin to create an ha-doc pattern for your application on IBM SmartCloud Application Workload Service. You can register for a free trial on IBM Mobile Application Platform Pattern Type here. 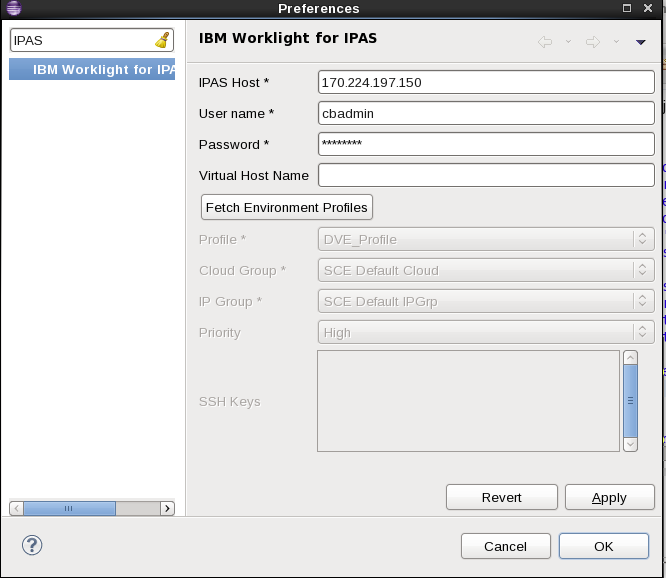 Once you have installed the Worklight Developer Edition as explain in this video and deployed the pattern-type and the DB Workload Standard, you can setup the Worklight Developer Edition plugin in order to create from Eclipse the worklight pattern for your application by using the Worklight Developer Edition functionality for IBM PureApplication System (IPAS). Of course, you can always decide to not use this functionality which is made for IPAS and design your own pattern using the virtual application builder from the SCAWS console. This method will also generate the ear file that must be deployed on the WebSphere server. You can also create this ear file via “ant” script, please visit this page on the IPAS infocenter for more information. As you can see it requires the IP address of your SCAWS environment, your credentials but also an environment profile which is not setup by default on SCAWS. So you have to setup it yourself and here how to do it! 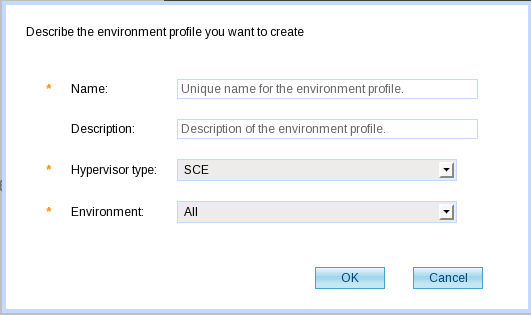 1) Select “Cloud” -> “Environment profiles”. 2) Click on the green “plus” to create a new “Environment profile”. 3) Provide a name and a description, then click ok.
4) Normally, we have to choose “IP Group” for the “IP addresses provided by” and this will automatically deploy the pattern without a chance to set the billing options (Server size, Monthly/Hourly) and so the default values will be taken. The Worklight Developer Edition behave like that because it was created mainly for private cloud (IPAS) and not for SCAS. So, that’s why I recommend to choose the “Pattern Deployer”, this will generate an error after the creation of the pattern and so you will have chance to set the billing options while launching the pattern via the SCAWS console. I’m also working on the “SCAWS pattern deployer” to provide the capability to deploy the Worklight pattern from it and choose the billing options. 5) In the “Deploy to cloud groups” field, select the “SCE Default Group”. 6) Tick the “in use” check box of the “SCE Default IPGrp”. Now we are ready to generate the pattern from the Worklight Developer Edition plugin. 1) Open your Eclipse environment. 3) Right-Click -> Run -> “Deploy Project to IPAS”. 4) Select the applications and adapters you would like to deploy. 5) Hit “Run”. Wait until the pattern is created. You will see it in the console. Now you are ready to launch your brand new pattern for your IBM Mobile Platform Pattern Type application from the SCAWS console.